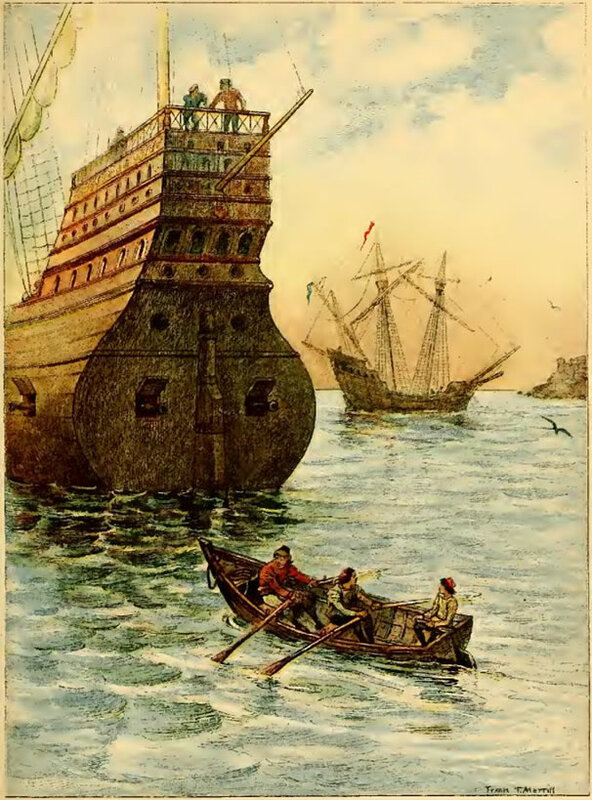 This illustration depicts a young Christopher Columbus sailing out on a rowboat to view ships in the Italian harbor. His older brothers man the oars. It offers a nice look at ships of the Renaissance, at the dawn of the age of European exploration.